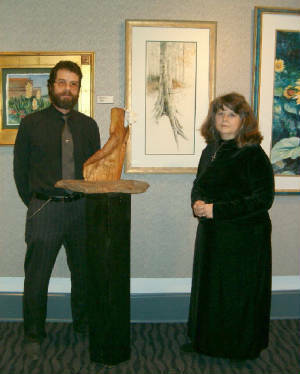 The Red Cockerill Gallery has been at its location in Austell since 1975, but it doesn't seem so long to Ann and Bill Cockerill. After she had graduated from college, Ann wanted to open a gallery where she could display and sell her artwork and with Bill's talent as a carpenter it just made sense to also offer custom framing services to the community. The shop is nestled in the quiet community of Austell, known for its antique stores and the famous Wallace's Barbeque restaurant. Take a break from the busy malls and hectic highways, and join Ann & Bill in Austell the next time you have something special to frame. They offer a complete line of custom framing featuring accentuated with creative expertise. Conservation framing is their specialty! Ann Cockerill first discovered the wonders of painting at the age of 4. A native of Georgia, she was born and raised in Cobb County. Born with a degenerative hip disease, she spent much time in body casts as a child. God has a way of turning bad things into blessings though. It was during these times, that she developed her imagination and learned how to paint and draw. Ann was commissioned by the State of Georgia to paint James Ogelthorpe, Thomas Jefferson, George Washington and Marquis de LaFayette life size portraits for the newly remodeled “Old Capitol” in Milledgeville. Her painting of Kennesaw Mountain was included in the “Spirit of America Exhibition from Winslow Homer to Andrew Wyeth,” and toured the nation's museums. Best of Show at the Spirit de France Arts Festival at Chateau Elan in GA, First Place at the North Wildwood Beach NJ Art Exhibition, and she was presented with the Winsor Newton First Place Painting Award of the International Art Show of New Jersey. Her painting was chosen for the Atlanta Dogwood Festivals Fine Art Poster Competition in Atlanta. Recent awards include 'Best of Show' at the Ellijay Apple Festival, the SCAA's Sweetwater Valley Art & Crafts Festival, Douglas Days. 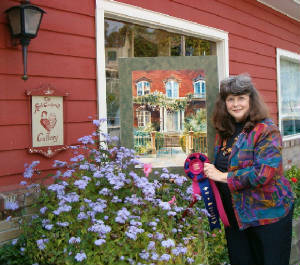 She was awarded the 18th Annual Miniature Art Show of NJ., the Sweetwater Fever Arts & Crafts Festival, the 'Off the Square' Art Show in Carrollton, the Cedar Valley Arts Festival, and the Cave Springs Art & Craft Festival. 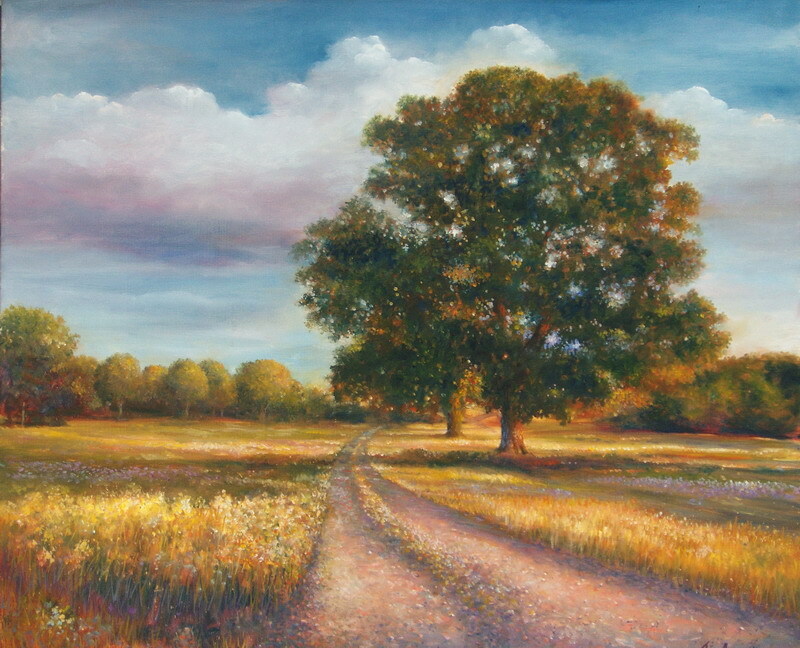 Ann's paintings were selected for inclusion in the Georgia Watercolor Society Exhibition and the Tallahassee Watercolor Society Exhibition. Her paintings are in private and corporate collections throughout the world. Bill Cockerill hails from New Jersey. He and Ann met during their college days at LaGrange, and after they were married Bill became a sheet metal mechanic & master carpenter. 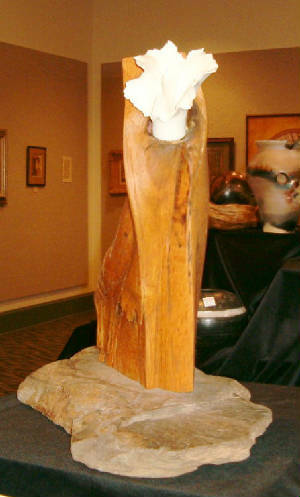 He has also mastered the art of stained glass and woodworking, and in recent years has found creative expression in clay. 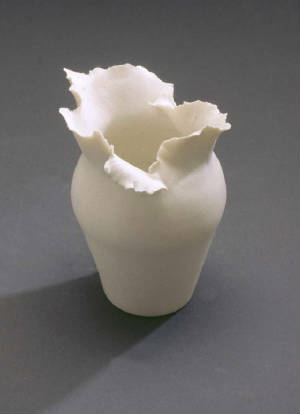 Bill studied with the late, nationally known potter Karen Beswick. From the challenging medium of porcelain, Bill's strong hands pull floral shapes that are alive with fluid movement, and countless hours of hand-burnishing creates sculptural works that glow with a fine patina. 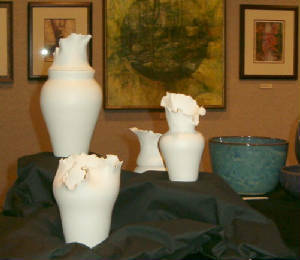 Bill also uses smoke firings to achieve a unique natural finish to produce unique works of art as well as functional pottery . Bill and Ann are proud of their daughter Emily Cockerill Lightner, who was an early artist and sold her first picture at the age of three. Her photographs, watercolors and other artworks are in many pediatricans' offices and in the private collection of country westarn star, Garth Brooks. Emily received her bachelors in management and human resources at Jacksonville State University in Alabama. Emily loves using her talents towards her photography and creative design. Emily married her husband, Andrew Lightner, after college and now have a little girl, Anna Grace.